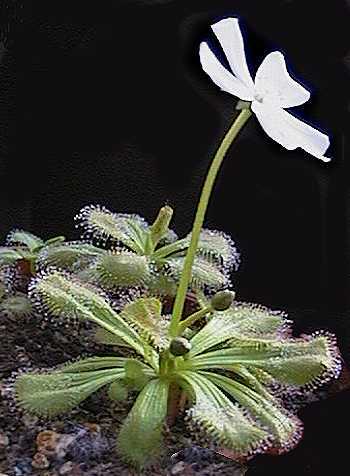 Drosera whittakeri. Flowering in mid-Winter, this is one of the tuberous Drosera which rest through the Summer as a dormant tuber. The flower is pleasantly scented. 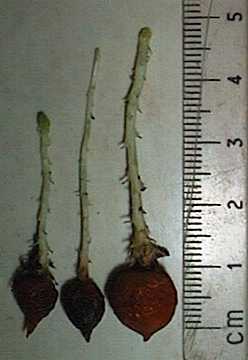 Drosera whittakeri tubers. Here you see the tubers, which had already started into growth by the time I decided to repot them on October 11th.